Strategic decisions at Airbus have been increasingly mired in political wrangling. Killer facts appear to include serious production delays difficulties in France; job preservation priorities of French and German politicians, share disposals by BAE to Airbus parent EADS, and leadership changes as the political, economic and technological challenges play out. Leader Louis Gallois will have to find some wriggle room to secure the restructuring required for the company. Considerable changes have occured at EADS since this post was first written. These can be tracked through the Airbus posts, including details of the corporate restructuring. The longer term Power8 plan seems still on the agenda, but delayed. Angela Merkel still visits Toulouse, but with new French President Nicholas Sarcozy. The post has been retained as a useful historical context to more recent developments in the company. You know an international company is in trouble when it becomes the topic of discussion between corporate and political leaders. Today, German Chancellor Angela Merkel and French President Jacques Chirac meet with executives of EADS in Germany. The subject on the agenda employment, and potential job losses at the planemaker Airbus. The company’s largest sites, with greatest potential for job losses are at Toulouse and Hamburg. 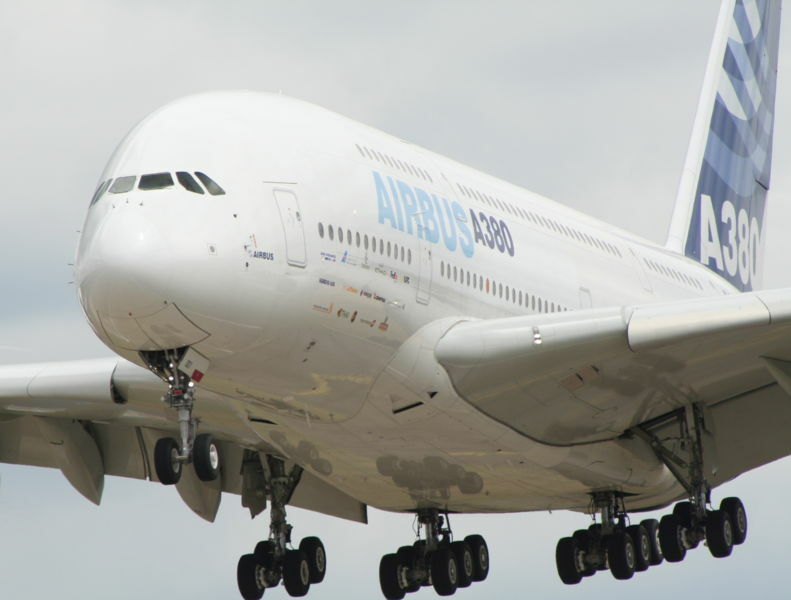 Last year, A380 project executives, including Airbus CEO Gustav Humbert, were dismissed. Humbert was blamed for the failure to deal effectively with the project delays, but also was accused of concealing the seriousness of the problems. In a short space of time, Humbert’s replacement, at Airbus, Christian Streiff resigned, which was when Louis Gallois stepped in. Streiff was believed to have failed to secure backing for a financial package he believed necessary to turn things around with the A380. Gallois is a much admired leader with a track record of top-level negotiating skills as well as industry experience. This week, the famed negotiating skills of Louis Gallois have been strained. An announcement of the restructuring with losses of over 10,0000 jobs was postponed, and now will follow the meeting of EADS executives with Merkel and Chirac. The killer facts that will pervade the talks are as follows. The mighty and innovative airbus 380 project has been mired in technological challenges (particularly over gigantic wiring problems) at the Toulouse plant. At minimum, these will cause huge compensation payouts to customers. (The financials would be much worse if competitor Boeing were not working to full capacity). The governance of EADS has been an extended story of struggle between French and German interests (in which the Franco-German co-leadership plays a part). British political influence disappeared after UK defense and aviation company BAE Systems announced its plans to sell 20% stake in Airbus to EADS last year. Don’t expect to find a neat Business School solution on the strategic issues. The dreaded PEST analysis (Political, Economic, Social and technological factors) seems more relevant than simple SWOTting (analysis of corporate strengths and weaknesses, against external threats and opportunities). Structural production factors dictate that the pain of job losses will be spread around with greatest potential losers in Germany, France, and England. Interestingly, the share price has had its medium term downward adjustment, and has been remarkably stable over the last six months of corporate turbulence. There seems scope for some wriggle-room, and political / economic trade-offs. Louis Gallois may yet lead by facilitating some creative (win-win) decisions of national involvement in future business streams. We will soon find out who will be doing the most wriggling, and where. You are currently browsing the archives for the Angela Merkel category.